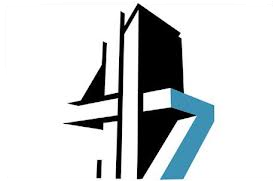 Channel 4, one of the three organisations that was behind a 2012 proposal to bring more HD channels to Freeview, finally launched two new HD simulcast services on the digital terrestrial platform. At the moment its two HD slots are used for Channel 4+1 HD and 4seven HD. New Freeview HD multiplex COM7 has now been filled with six HD channels and 2 standard definition channels, thanks to the use of new encoder technology. COM7 covers has just over 70% population coverage, but uses newer DVB-T2 technology that generally requires a Freeview HD certified device or YouView box to receive. This page will be updated throughout July 2014 logging the latest changes. Not available during BBC Alba’s broadcast hours from today until shortly after the Commonwealth Games finish. This is in addition to stations including BBC R1,2,3 that are permanently not available in the evenings. Off air until shortly after the Commonwealth Games. Allows BBC Three HD to extend its broadcast hours. 24 hour stream (until the start of the Commonwealth Games, the channel continues to broadcast from just before 7pm daily). Added in Local TV coverage areas (also via red button on channel 35 on QVC Beauty for compatible connected Freeview HD devices). Removed. Was a streamed channel service. Available to viewers who can already receive Al Jazeera Arabic on channel 84. Available to viewers who can already receive BBC Four HD on Freeview HD. 4th August 2014: BBC RB 302 ceases broadcasting. BBC Three SD/HD reverting to normal broadcast hours. CBBC HD expected to return by 5th August. Date to be confirmed: Red Button/Interactive services to move from channel 300-320 to channel range 600-620. TruTV - launches 4th August on Freeview channel 68. ITVBe - a new channel featuring scripted reality shows. Launch date: 8th October 2014. Also via Sky channel 117 and Virgin Media 159. Last updated 31/07/2014. Visit the latest Freeview monthly update page for ongoing updates beyond July 2014. On 17th June 2014, the remaining transmitter sites due to carry the extra HD channels (including BBC Four HD) went live.